The Norfolk County Public Library is celebrating the progress of the Norfolk Remembers Project for WWI, and the One Novel One Norfolk community reading program with a party! 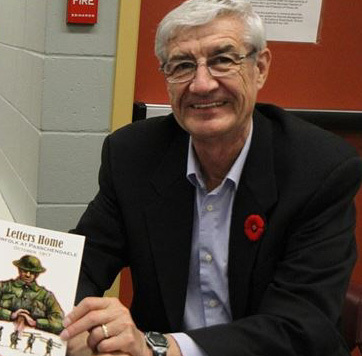 Meet the editor of the Norfolk Letters Home series, Grant Smith. The Norfolk County Public Library and the Norfolk Remembers Committee would also like to take this opportunity to thank the generous support of the Norfolk County Lions Clubs for their financial investment in these projects and, the Legions for their assistance with our research of the soldiers from WW1.